This is the ninth of a series of blog posts highlighting the ongoing work of the Documenting UO History Project within the University Archives. A major part of this project is researching and documenting the often untold and hidden histories of the university’s diverse and underrepresented communities. This year our focus will continue to highlight Black history on campus, specifically Black student activism from the 1960s to present. Prior posts can be seen here. Paul Olum stepped into the role of university president at Oregon with decades of academic experience. Having just served as provost at the University of Oregon, Olum had been groomed to take over for President Boyd (see previous post on Boyd). Olum started his illustrious academic career in mathematics, even working on the Manhattan Project at one point. He earned his bachelors in physics from Princeton in 1940, an M.A in physics from Princeton in 1942, and a PhD in mathematics from Harvard in 1947. Olum later served as a very popular and distinguished professor of mathematics at Cornell, and had a short stint at the University of Texas before beginning his tenure at Oregon. Olum quickly developed a positive repoire with both students and staff. Politically progressive, Olum publically called for nuclear disarmament and fought to make the University of Oregon more inclusive for all students. Although Olum’s tenure avoided the contention that filled the 1960s and 1970s, Olum faced recurring budget restraints and struggled to recruit more minority students to the Eugene campus. This is the eighth of a series of blog posts highlighting the ongoing work of the Documenting UO History Project within the University Archives. A major part of this project is researching and documenting the often untold and hidden histories of the university’s diverse and underrepresented communities. This year our focus will continue to highlight Black history on campus, specifically Black student activism from the 1960s to present. Prior posts can be seen here. President William Beaty Boyd served as the University of Oregon President from 1975 to 1980. Boyd is remembered for restructuring the universities administration, and giving the provost predominant control of daily operations. 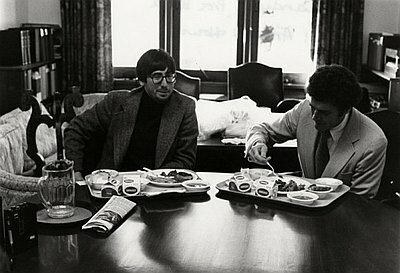 He also worked with production crews from the creators of “Animal House,” and secured a contract so that the Oregon campus could serve as a backdrop for the film. Boyd’s tenure followed an incredibly contentious time for the university, though Boyd enjoyed a relatively calm period for the university. This post highlights his brief tenure and specific achievements related to committees and minority activism. A Step In the Right Direction: Honoring DeNorval Unthank, Jr. This is the seventh of a series of blog posts highlighting the ongoing work of the Documenting UO History Project within the University Archives. A major part of this project is researching and documenting the often untold and hidden histories of the university’s diverse and underrepresented communities. This year our focus will continue to highlight Black history on campus, specifically Black student activism from the 1960s to present. Prior posts can be seen here. 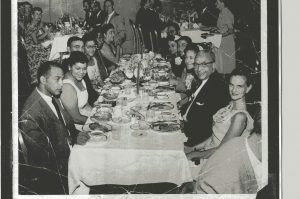 Until recently, DeNorval Unthank Jr.’s remarkable life was a perfect example of how black history at the University of Oregon and Eugene has been suppressed. Despite graduating from the University of Oregon Architecture program in 1952, becoming an accomplished architect and professor at Oregon, and even designing prominent buildings throughout Eugene and on campus, his story remained, for the most part, untold. In fact, outside of historians and a select few community members, it is difficult to find someone in Eugene who is familiar with Unthank Jr.’s work, legacy, and strong connections to the University of Oregon. Fortunately, recent events and the building renaming process of Cedar Hall has brought Unthank Jr. well-deserved recognition. In late May, University of Oregon President Michael Schill announced that Cedar Hall would be named after Unthank Jr. after months of deliberating on potential name options ranging from Mabel Byrd to Unthank Jr. We are honored to highlight his life and career as a professor and prominent Eugene architect. This is the sixth of a series of blog posts highlighting the ongoing work of the Documenting UO History Project within the University Archives. A major part of this project is researching and documenting the often untold and hidden histories of the university’s diverse and underrepresented communities. This year our focus will continue to highlight Black history on campus, specifically Black student activism from the 1960s to present. Prior posts can be seen here. 2015 Oregon graduate and Black Student Union member Anetra Brown has remained in Eugene since graduation and has stayed connected with the University of Oregon through organizations like the Black Alumni Network, a group that has helped Brown feel more at home in Eugene. Anetra came to Eugene in September of 2011 to run on the track and field team, but academics were always her primary focus. Brown was born in San Francisco and moved to Indianapolis when she was 10. Upon her arrival to Eugene, Oregon’s lack of racial diversity was glaring. Although she describes the community as friendly, Brown says the feeling of isolation was undeniable. 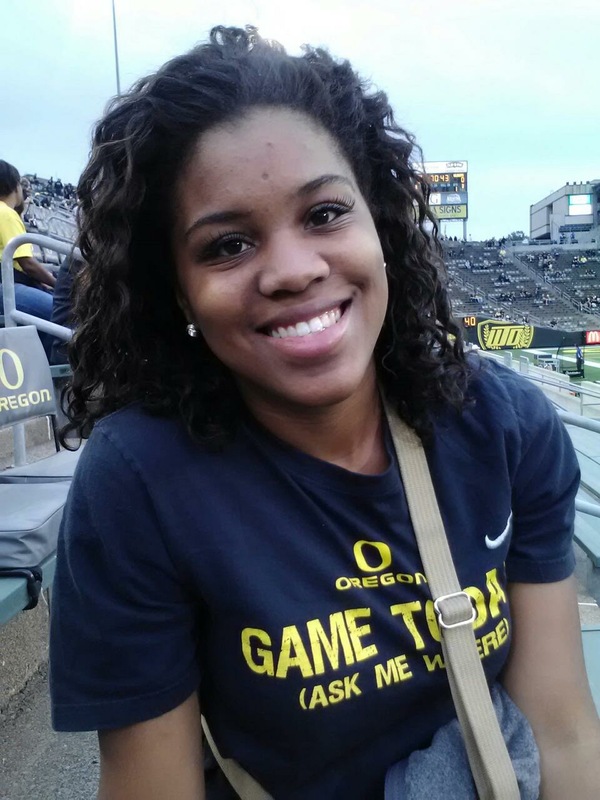 Through a recent oral history interview with Anetra for this project, this post highlights her specific experience at the University of Oregon and explores her reasons for choosing to remain in Eugene after graduation. This is the fifth of a series of blog posts highlighting the ongoing work of the Documenting UO History Project within the University Archives. 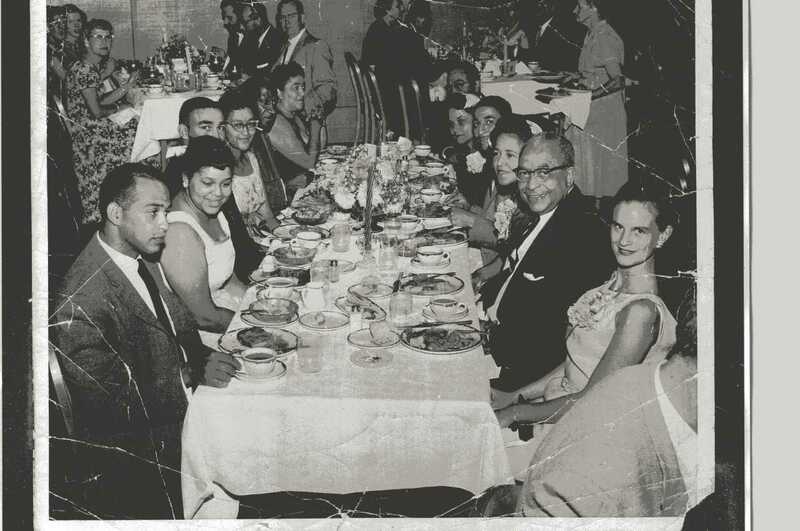 A major part of this project is researching and documenting the often untold and hidden histories of the university’s diverse and underrepresented communities. This year our focus will continue to highlight Black history on campus, specifically Black student activism from the 1960s to present. Prior posts can be seen here. President Robert D. Clark began his tenure at Oregon in 1969 and remained president until 1975. As far as students were concerned, Clark had large shoes to fill as the replacement to President Flemming, who had been incredibly popular with students from all walks of life and who especially championed the rights of minority students. Fortunately for Oregon students, President Clark came into the job with a wealth of experience, and was known as a progressive administrator. Prior to his presidential tenure at the University of Oregon, Clark served as the President of San Jose State University from 1964 to 1969. Students and faculty appreciated Clark’s ardent defense of civil rights issues, which included his unwavering support of Olympians John Carlos and Tommie Smith. This post will explore Clark’s relationship with student activists in his first years at the University of Oregon.